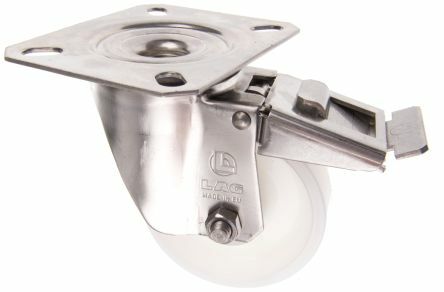 Pressed steel castors with plate mounting for flexible, easy handling on all types of industrial surfaces, even those in poor condition.Do not mark floors. 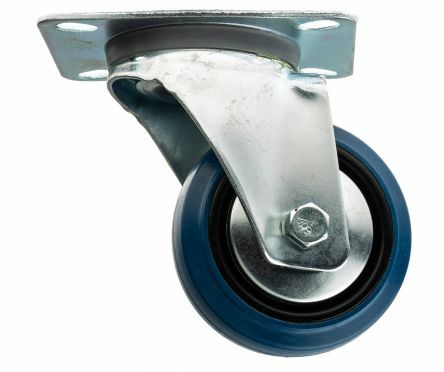 High abrasion resistance.Feature blue super-elastic rubber Manulastic tyres fitted on a black polyamide 6 body. 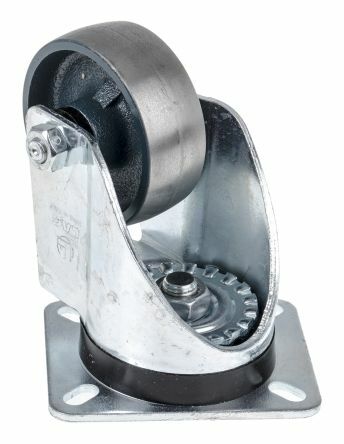 Heavy duty plate fixing castor with a cast iron wheel and zinc plated steel body. 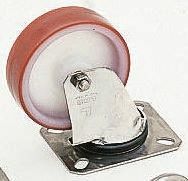 Central bolt and self-locking nutExcellent smooth running, suitable for extra heavy loads and high temperaturesPlain bore hub bearingWheel series Q.